Today on board the Aurora, we headed down to the SW Corner of Stellwagen Bank! There was lots of activity spread out over the area today. 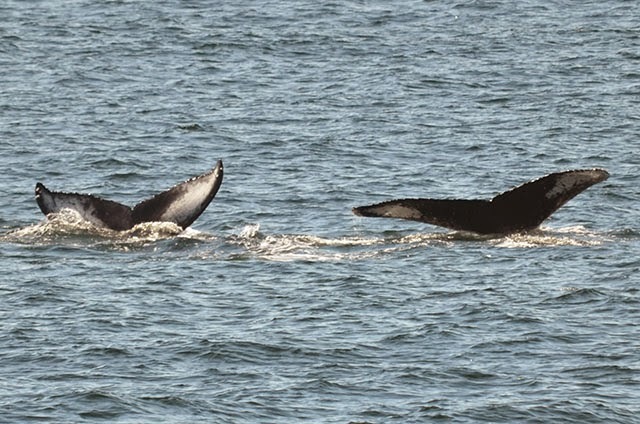 Luckily, we were able to find a nice big group of humpback whales! This group consisted of Nile and her 2014 calf, Milkweed and her 2014 calf, Bayou and Canine. For most of the trip, the adults took about 5 minute dives and were likely feeding beneath the surface. As the adults fed, the calves spent some time together at the surface and were a bit more independent. Now that the calves are likely about 9-10 months old, they are growing slightly apart from their mothers and are more commonly seen separated from their mothers! Hopefully we will see them again next season, completely independent from their mothers, successfully surviving around Stellwagen Bank. 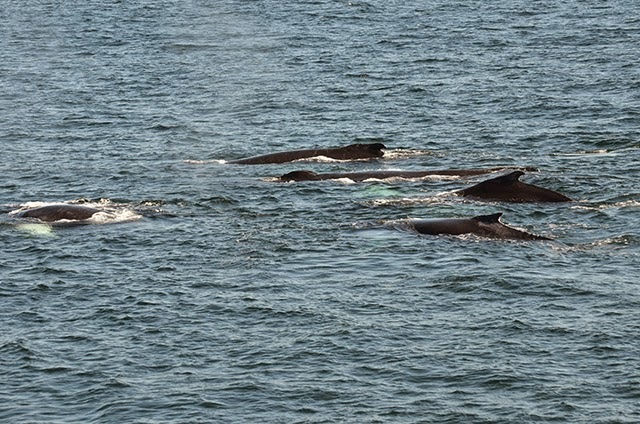 For our last looks, the calves and the adults re-joined in one massive group right along the side of our boat! It was a great way to end the trip, or so we thought. 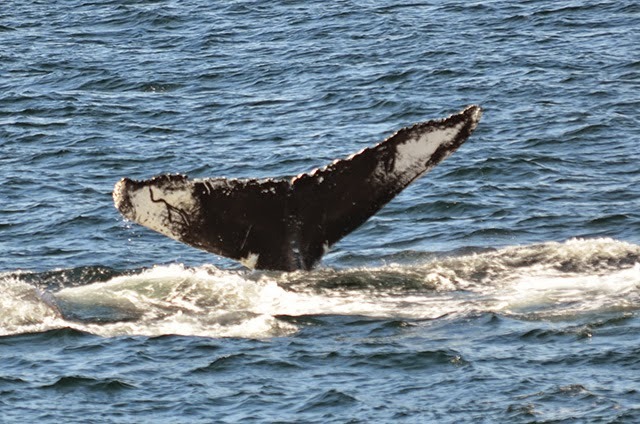 On the way home we saw another lone humpback whale as well as a pod of 5-10 Atlantic white-sided dolphins. It was a great day out on the bank. Hopefully this nicer weather holds up for a while!